Tales From the Thames is a schools based oral history project aimed at recording the incredible history of the Thames Lightermen. Children will be working with digital-works to explore this history and present their findings in writing but also in filmed oral history interviews which will be edited into a documentary to be shown in schools, museums, film festivals and libraries across London and the UK. 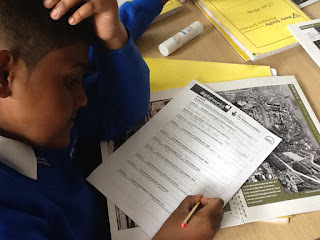 The Education Pack for Key Stage 2 has been piloted in 5 London primary schools. The pack accompanies the documentary film, ‘The Weekend Millionaires’ based around interviews of Thames lightermen undertaken by two London schools in 2015. The pack has been split into two parts. The first aims to allow children to find out what watermen and lightermen were and can be followed by a fun powerpoint quiz, ‘Who Wants to be a Weekend Millionaire?’ The final part combines historical enquiry, to meet the needs of the new KS 2 National Curriculum for history, and follows what happened to the London lightermen through the story of John Daniel from his birth in 1937, through to his retirement in 1999. "Kingfishers were lucky enough to be part of a Heritage Lottery funded bid called, ‘The Ballard of the Last Lighterman’ in partnership with Digital Works. During this fun packed day the children learned about lightermen, watermen, how to tie knots and floating and sinking of barges! 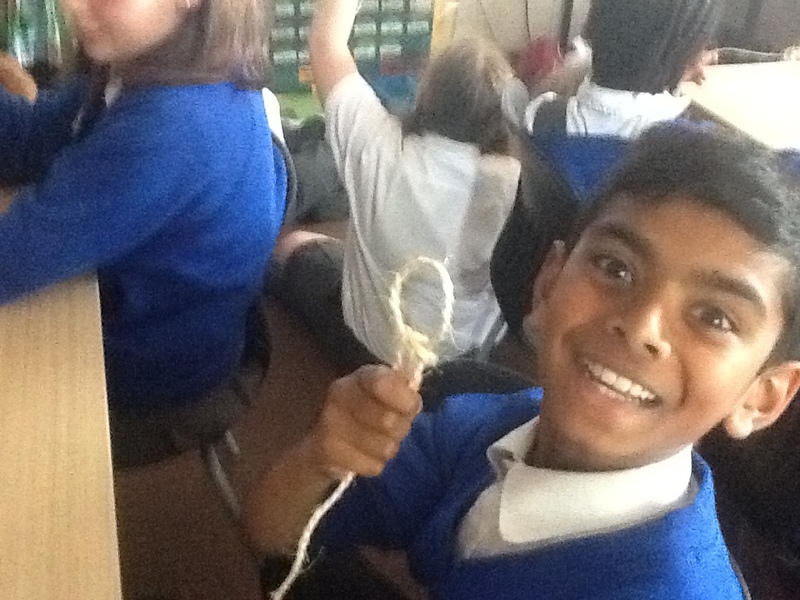 We had a visit from a Lighterman and he showed the children how to tie some very complicated knots. Now Kingfishers are going knot crazy! We played a game called, ‘Who Wants to be a Weekend Millionaire’. The game was named this because the lightermen worked long hours and got paid a lot of money and only had the weekend free where they were able to spend their well earned cash! They were very popular at the weekend as everyone knew they were well paid and generous! The ‘London Bridge’ team won but everyone enjoyed it so much that they wanted to do it all over again. 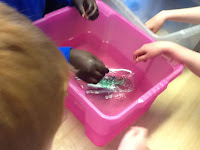 The whole class enjoyed the day and learned so much." The film was shown to an enthusiastic response at the Upper Tideway Branch of the River Thames Society AGM. "I wanted to feed back to you how fantastic we found the film. We were lucky to have in the audience an elderly lady whose father and family had worked on the river, and she provided asides as and when she recognised scenes. It wasn't until right at the end when we saw the credits that we were reminded that primary schools had been key to the production - how proud they must be with this achievement. We will be commending it highly to other groups that share our interest in the river. Please thank all those involved for a job so very well done." digital:works is an arts and education charity working on participation projects with schools, colleges and community groups using creative media.